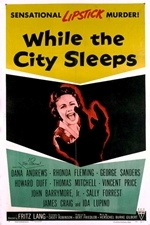 While the City Sleeps is a 1956 film noir directed by Fritz Lang. 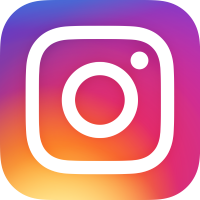 Written by Casey Robinson, the newspaper drama was based on The Bloody Spur by Charles Einstein, which depicts the story of "Lipstick Killer" William Heirens. 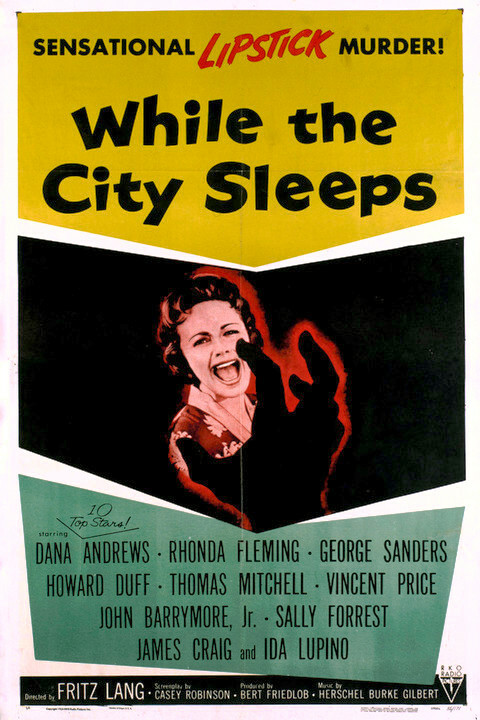 The film features Dana Andrews, Rhonda Fleming, George Sanders, Howard Duff, Thomas Mitchell, Vincent Price, John Drew Barrymore and Ida Lupino. Time Out film reviews wrote of the film, "Lang makes inspired use of glass-walled offices, where all is seen and nothing revealed, and traces explicit parallels between Andrews and the murderer. Lang's most underrated movie."